Nathan Whitmore just launched a tDCS search engine! The goal of Montage Explorer is slightly different from that of a traditional montage website. While most of these sites attempt to provide details one a montage used in one or two studies, the goal of Montage Explorer is to provide an aggregate view and summary of all the research on a particular montage (including side effects that are discovered in studies by other authors and “null results” where an effect fails to replicate) and provide access to the original results and publications, using automated analysis of articles published on noninvasive brain stimulation. Fantastic to have a resource in the community like Nathan who has the background and technical expertise to do a deep dive into assessing a device like the new Foc.us v2. The entire review is a must read but here I’m quoting his analysis of the safety issues. The foc.us also includes some new safety features designed to reduce the risk of high-current-density induced injuries. The most interesting is a soft voltage limit; while the device can technically output voltages out to 60V, users can specify a lower limit to not exceed. This provides protection if the connection between electrodes and the head starts to fail (due to electrode drying or drift, for instance); rather than increase voltage to the absolute maximum in an attempt to drive the target current over the failing connection (which can result in very high current density through a small patch of skin), the device can be configured to simply allow the current to drop using this limit. Unfortunately, there’s no actual alert that the connection is failing (although this can be deduced from looking at the current monitor during operation) but this still provides a good way to avoid many of the safety issues that the high maximum operating voltage would otherwise entail. Another important area of safety is the ability of the current regulator to maintain its specified current and voltage outputs under varying conditions. Here I tested the device under two conditions: with relatively stable impedance at varying levels (simulating a typical use case in a person sitting still) and in an “impulse” condition, where impedance changes instantly from very high to very low or vice versa. The purpose of this testing method is to measure the device’s response to temporary very sharp changes in impedance caused by disconnection and reconnection of the electrodes as might occur in the Edge device when used during athletic performance. Here the foc.us performed perfectly; neither current nor voltage ever significantly exceeded their specified maximums under varying conditions. The response to impulses was particularly impressive, with no significant “overshoot” even at the maximum voltage output. You’re more likely to know Nathan Whitmore as /u/ohsnapitsnathan, one of the moderators at the tDCS subReddit. 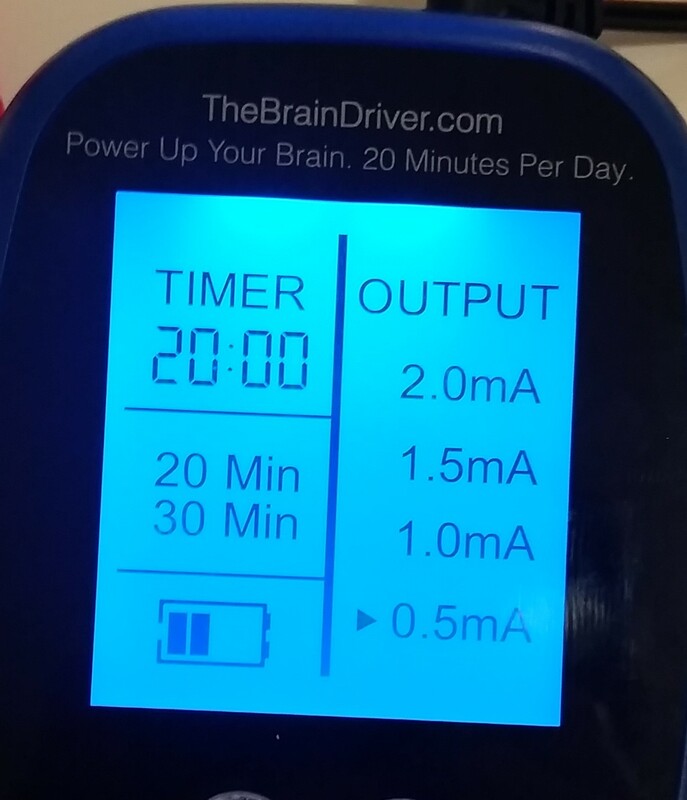 Around making plans to attend NYC Neuromodulation Conference 2015, he’s started a GoFundMe campaign and announced an early Beta of his tDCS device, BrainKit. It’s a very ambitious project! He plans to include sensors that would monitor brain activity using capacitance (Electrical Capacitance Volume Tomography)! The BrainKit would then generate optimal montages for specific desired effects! It’s Arduino based, and Nathan intends for it to be Open Source. It’s very early in the BrainKit’s development, but it appears to me that all the pieces are in place. 1. If increased performance on a psychometric measure is associated with higher excitability in a cortical area, BrainKit will deliver anodal stimulation to that area, if decreased excitability is associated with increased performance then BrainKit will use cathodal stimulation. 2. If functional connectivity between two electrodes is positively associated with good performance, anodal stimulation is delivered to both electrodes, if it is negatively associated with good performance then cathodal stimulation is applied to both electrodes. 3. If any electrode conflicts exist the previous two rules cause one electrodes to be marked for both anodal and cathodal stimulation, that electrode is excluded from the montage. Hi! I’m Nathan Whitmore, AKA /u/ohsnapitsnathan . 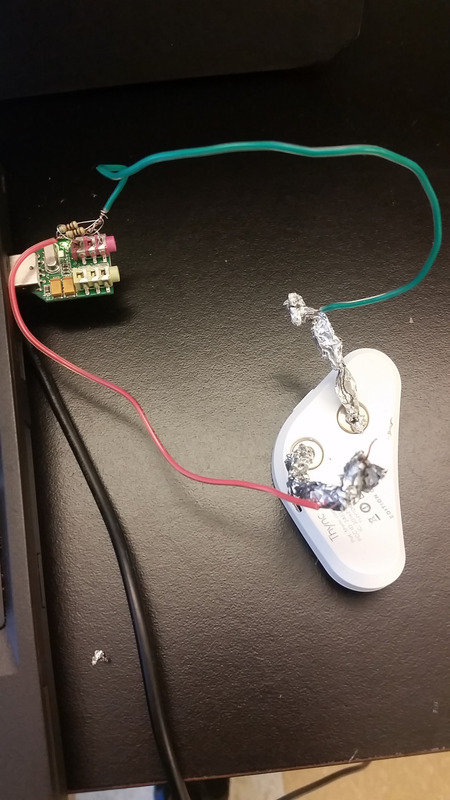 I design open-source, DIY brain stimulators OpenStim and BrainKit and I moderate Reddit’s brain stimulator forum. I’m raising money to go to the New York Neuromodulation conference this January and talk about open-source brain stimulators and the DIY community! 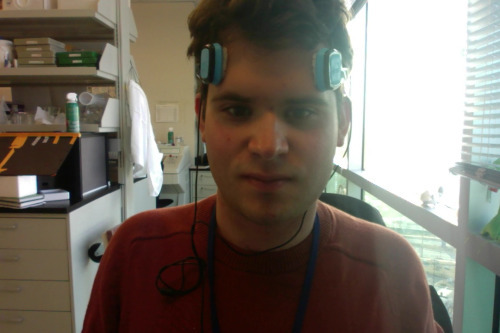 WHY: While I currently work in a research lab studying how the brain controls attention, I’m really a tDCS DIYer at heart—I built my first tDCS unit two years ago, when I was in college, and started working on OpenStim a few months later. What these experiences made me aware of is that there’s a large and growing communication gap between people who research tDCS, and the vast majority of those who actually use it. That’s bad for everyone, because it means that what we research and what we actually care about start to diverge. via Help me go to NYC Neuromodulation by Nathan Whitmore – GoFundMe.